1. How Frequently Do You Trade Options? The frequency at which you trade will indicate the level of robustness that a trading platform must have. For instance, if you don’t trade that often, chances are that you could use a trading platform which doesn’t need a lot of redundancy due to the long term nature of your trades. On the other hand, if you are very active in the options market, you want a platform that has the least downtime so that the platform is up and ready anytime you want to trade. 2. Do You Need Mobile Access to Trade? If your circumstances or work schedule requires you to do binary trading from your mobile phone or your smartphone, you’ll want a platform that is capable of providing this feature. It is important to determine whether this feature is available in the forex platform of your choice before signing up because not all platforms offer mobile binary trading. 3. 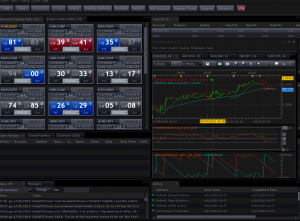 Do You Want The Option Of Automated Option Trading? If you are interested in using automated trading in the options market, you might want a platform that provides you with the tools to implement an automated trading system. 4. Will You Need To Place Orders On The Phone? There are some people who still trade the old way – by placing trading orders over the phone. While most platforms offer this ability, it would be good to ascertain this before signing up. 5. Do You Trade In Multiple Finanacial Instruments? People trading in a large number of instruments usually face the problem of having to deal with multiple trading platforms which can get quite frustrating after a certain point. Ideally, you’d want a single platform that allows you to trade in any instrument of your choice, be it forex, stocks, futures, options or commodities. 6. Do You Need Additional Tools With Your Binary Options Trading Platform? Some traders need additional tools to help them analyze the instruments and the options market. For example, most traders would need the commonly used technical charting tools to help them evaluate the market conditions. If you have such requirements, you should ensure that the trading platform you are selecting fulfills them. Answers to these questions will help you narrow down your options quite significantly and make your job of comparing the available platforms a lot easier. However, regardless of the platform you select after answering the above questions, it must have the following features to provide you with a good and consistent trading experience. The platform you select must be able to provide accurate quotes. There are platforms that you should be wary of as they can often have some slippages which can result in a loss for you. Slippages occur when a trade executes at a price other than the one the trader entered. Not only do slippages result in losses, they can also throw you off your trading rhythm if you have to keep worrying about them. It is therefore a good idea to read user reviews for any forex platform you might be considering. The lower the spreads are, the better is the liquidity on a particular forex platform and the better will your prices be. Higher spreads are indicative of a relatively less liquid market and platforms with higher spreads must be avoided. 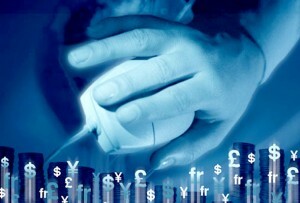 Platform security is as important a criterion as any while making a choice on the platform for binary options trading. A good trading platform must be secure against password hacking and must have good processes and systems in place to prevent unauthorized access to your trades and to your money. The forex platform you are considering must be highly reliable and should employ redundant systems to prevent any sort of downtime which could result in missed trades or losses. Apart from staying up all the time, the system must ensure accuracy in any trade as per your order. Every trader needs customer support at some point from the broker. The trading platform chosen should be such that it gives you access to as much information and as many tools as you need to help you trade more efficiently without having to worry about inconsequential matters. Answering the above questions and then checking all the platforms in your checklist for the above features should help you identify the best trading platform for your activities. A little bit of time spent on researching the available trading platforms can go a long way in jumpstarting your trading activities and minimizing undesired problems down the line.